The huge increases in Air Passenger Duty (APD) which came into effect on Monday 1 November will see a family of four visiting relatives in Australia paying a punitive £340 in tax and an eyewatering £680 if they have paid for extra leg room in premium economy. This is just the start of the bad news, as the Government has said that it intends to double APD revenue by 2014 to £3.8 billion representing the largest stealth tax rise to hit the travelling public. 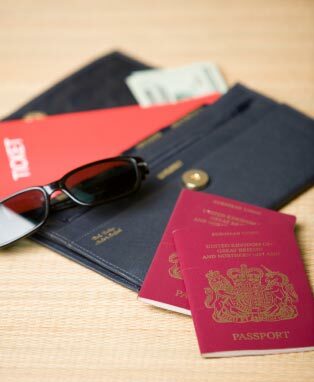 ABTA research* has found that two thirds [nearly 70%] of consumers do not know how much tax they are paying on a flight. This means that the majority of customers are unaware of the full extent of the large sums they are contributing to the Exchequer every time they set foot on a plane in the UK. The Government increases in aviation tax have been hidden behind the overall price of an airline ticket and so it is harder for increases to be understood by the travelling public. ABTA is today warning that the impact of the government's new flying stealth tax will soon become clear as many families will find themselves priced out of taking a foreign holiday or visiting their relatives overseas. Successive governments have for too long justified hiking APD as a "green tax" whilst never putting a penny of the billions of pounds collected towards helping the environment. Savvy travellers are cynical about Government motivation with ABTA research finding that 90% of consumers are sceptical about the environmental justification behind the flying poll tax. Mark Tanzer ABTA Chief Executive said: "For too long our customers have been taken advantage of with successive governments seeing flying as a convenient cash cow. These latest huge increases in APD will disproportionately affect families on tight budgets when they are under considerable financial pressure. Increasing taxes will make taking holidays and visiting friends and relatives unaffordable for many. Not only is this tax increase pricing people out of taking holidays it also is putting the UK at a clear competitive disadvantage when compared to our European competitors. "ABTA is calling on the Government to call a halt to their planned tax rises that will see this flying tax double in the next five years and adopt a fairer tax system that will encourage real environmental improvements in air travel." The Dutch Government, one of the very few to tax flying in this way, axed their version of APD in 2008 as they concluded that the damage to their economy vastly outweighed any revenue raised by the tax. * Consumer research was conducted by Arkenford Ltd who specialise in tourism and leisure market research. The ABTA Consumer Trends survey generated response from a nationally representative sample of 2,028 consumers using an online research methodology. Fieldwork was conducted in September 2010.